The cultural, financial, and economic center of Malaysia, Kuala Lumpur is one of the most visited cities in the world for tourism. The city is wonderful mix of the old and new, from colonial era buildings to the futuristic Petrona Towers. 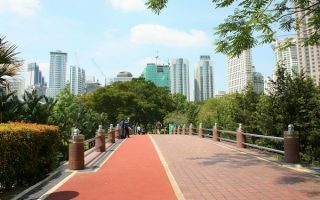 A verdant city with many wide avenues and good public transport, the best running in Kuala Lumpur is in select parks and gardens, and certain neighborhoods with wide paths or sidewalks. 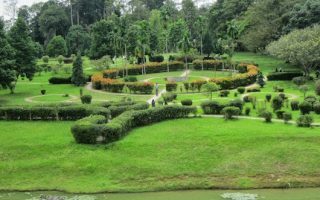 In central KL, the best spots to run are KLCC Park, Perdana Botanical Gardens, and the Bukit Kiara Park. 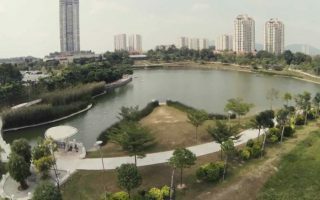 To the north, there’s a nice running path in newly developed Desa Park City, and trails in Kepong Metropolitan Park and the Forest Research Institute. 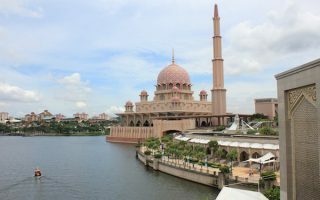 South of the city, there’s good running in Bukit Jalil, and the newer, extensive Putrajaya neighborhood. The National Botanical Gardens, an hour west of the city, make for a great ‘destination’ run. KL has good public transport in the center of the city, consisting of a metro and light rail. Be aware that Kuala Lumpur weather is hot and humid year-round. The temperature never dips below 60F. 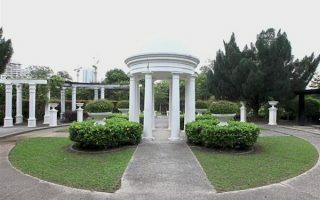 Centrally located park featuring a 1.3 km rubberized jogging track. Great views of the Petronas Twin Towers. Nicely landscaped gardens, lake with fountain, and good facilities. Combine with Petronas Twin Towers Trail for a longer run. 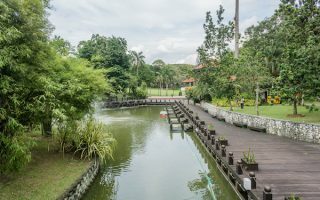 Botanical Gardens within 170-acre Tun Abdul Razak Heritage Park are wonderful for running. Several km of paths along and around 10 different types of gardens, or 'collections'. Also some hills and stairs. Free, and open 7am-8pm. One of the best opportunities to do some off-road hill running in KL, also some trail running. The park is located in one of the city's affluent suburbs. 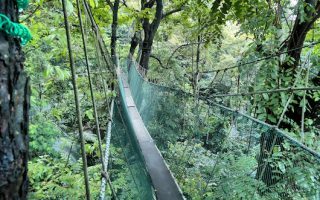 Create your own route, or do the challenging 5k Hill Walk Loop or the 2 km Bukit Kiara Trail. Centrally located campus offering an opportunity for a pleasant run 4-5 km around its numerous, hilly walking paths. The main road around the campus perimeter, Lingkungan Budi, is 5.6 km. Accessible by public transport. Pleasantly landscaped park in a newly developed residential area in the western part of the city, with a small lake at its center. There's a marked 2.2 km track that's popular with runners. For a hilly add-on, run the "DPC Hill" to Ridgewood. Wonderful 3.8 km loop around a lake on a dedicated path in this park 15 km north of central KL. Nice canopy and water views. Special surface for running! Popular park for kite flying as well. Some offshoot paths can add a couple of km. Located 16 km northwest central KL, the FRIM is one of the world's leading institutions in tropical forestry research. Running is allowed on the main roads, which make for a lovely route of about 7.5 km. Somewhat hilly. This suburb, developed for the 1998 Commonwealth Games, has some good running. 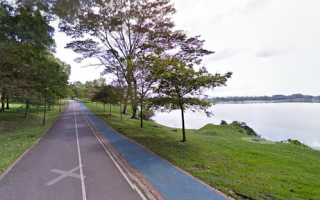 A good 3.5 km loop is around Bukit Komanwel Park and the path around the National Stadium. 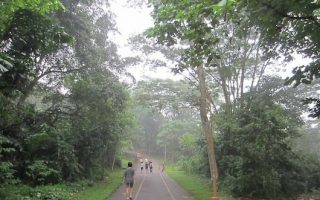 Bukit Kalil Park offers pleasant trails for a ~2 km loop. 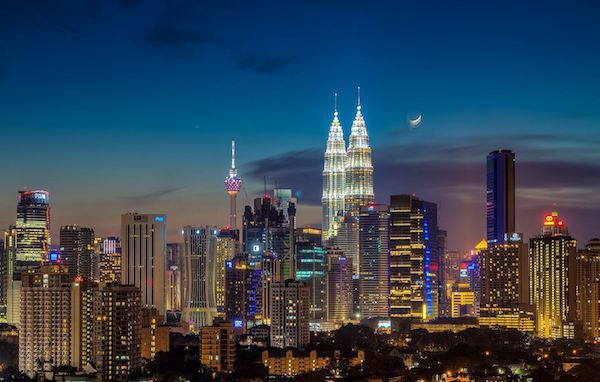 This city built on a grand scale has become KL's administrative center, with wide avenues, waterways, impressive architecture, and spectacular bridge. Wonderful running opportunities in this area include large parks, waterside paths. One of the world's largest botanical gardens, about an hour drive from KL. 2,000+ acre park and agroforestry center is a great 'destination run'. Hilly roads and trails lead through lush foliage, fruit trees, 10 different gardens, and more. The heat of Kuala Lumpur makes it a challenge for running. Given it’s hot and fairly humid year-round, with average high temperatures if near 90F (32-33C) and lows rarely dipping below 70F (21C), we recommend going when the sun is not too strong. Pay attention to hydration. The city gets some 100 inches of rain per year, with the drier months of July and August getting about half the rainfall of the wetter months. Be prepared to run in a downpour at any time! Kuala Lumpur is a heavily visited city for business and tourism. There’s a large number and range of hotels, including many larger, luxury spots. Given the congestion in the city and its wider streets that are not always so pleasant for running , we recommend trying to stay near one of our designated running spots, or close to a metro stop providing easy access to running. Running is a growing activity in KL, and there are numerous running stores. The best independent running store is Running Lab, with locations in central KL and the Utama Shopping Center. There are also outlets for Asics, New Balance, and other running apparel companies. The running stores don’t typically host group runs. 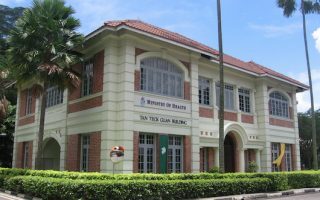 This page has a list of running clubs in Malaysia. There is a growing number of running events in Kuala Lumpur and surrounding locations. Here’s a link to a good RUN CALENDAR. Brooks KL City Run. August.